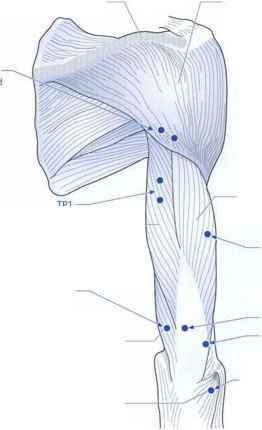 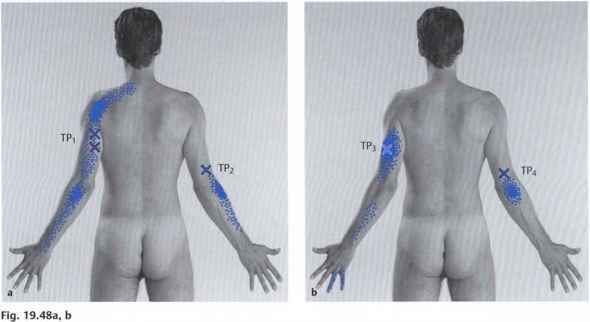 TP1 is found in the infraspinous fossa immediately below the spine of the scapula near the medial border of the scapula; TP2 somewhat further laterally (see also Fig. 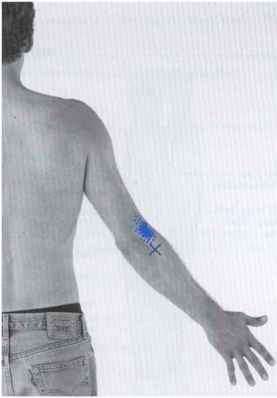 19.25). 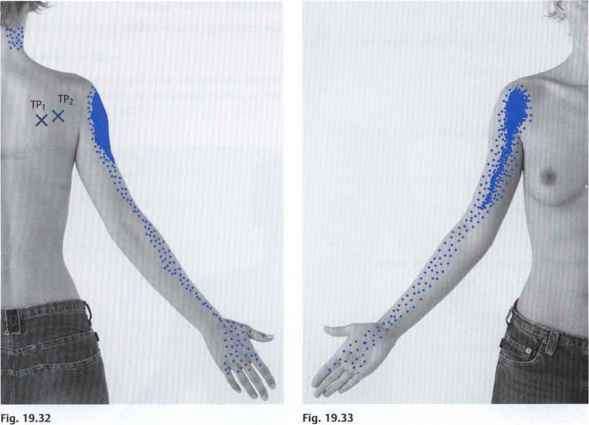 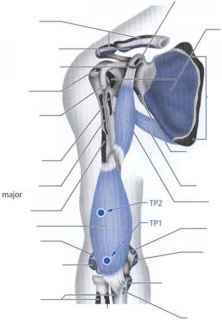 See Teres Major Muscle (p. 146). 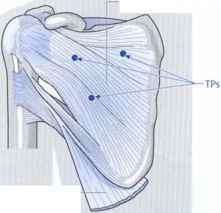 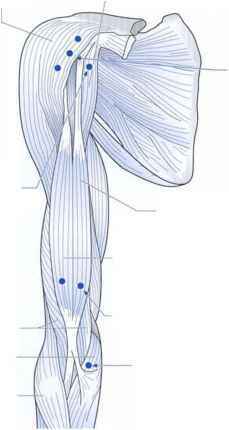 See teres major muscle below. 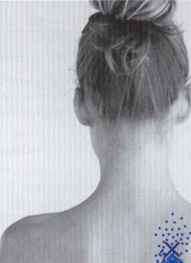 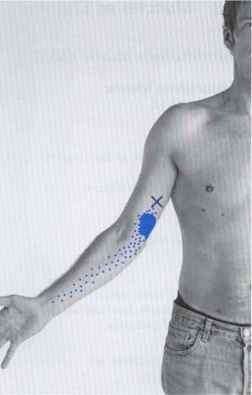 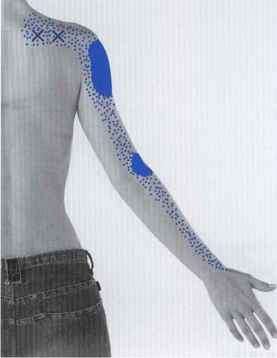 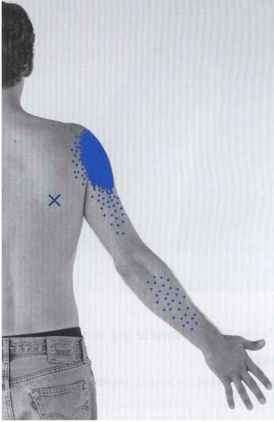 Near the lateral border of the scapula in the subscapular fossa. 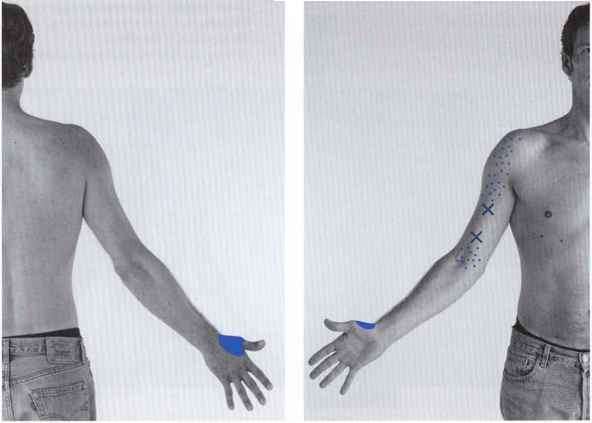 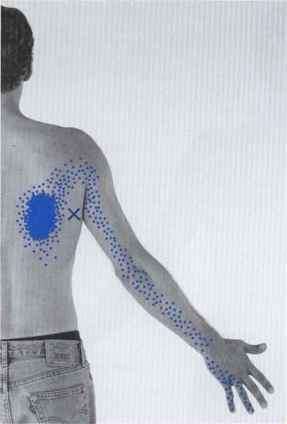 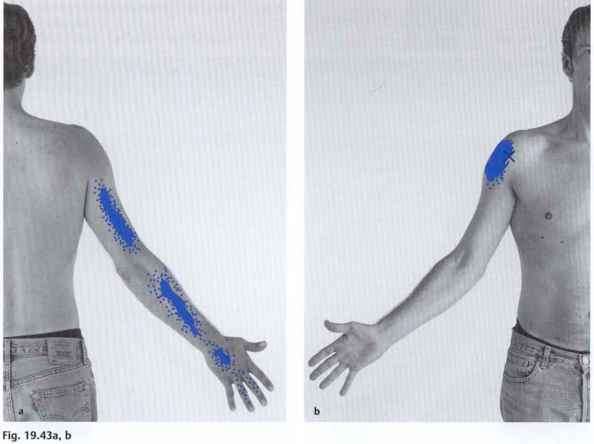 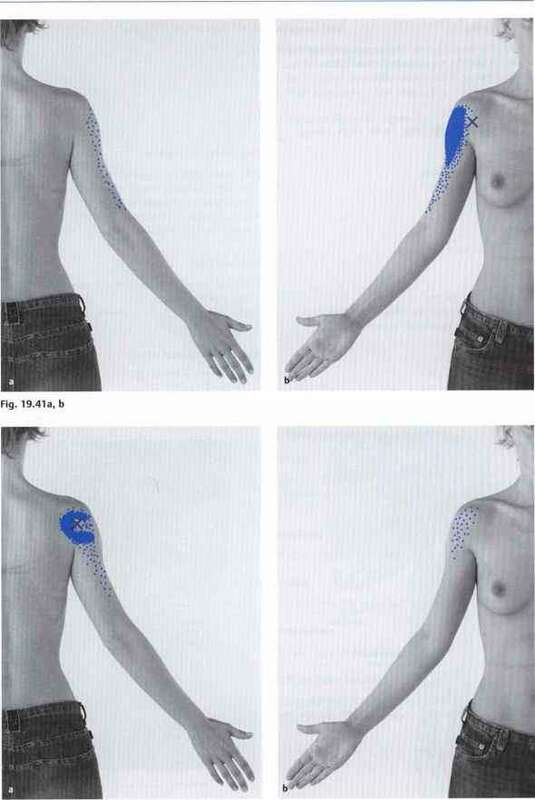 In addition, you find trigger points in the subscapular fossa further medially in the direction of the upper angle of the scapula. 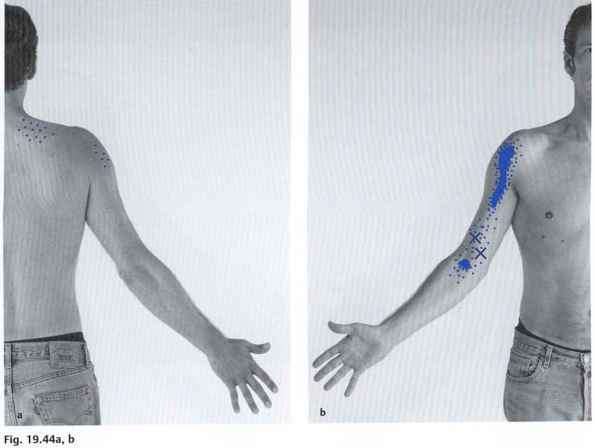 Palpate in the armpit between the deltoid and pector-alis major and press the muscle in its cranial section against the humerus.